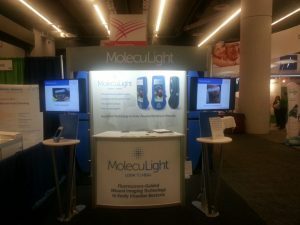 MolecuLight Inc. exhibited at the 2016 SAWC Spring Conference that took place on April 13-17 at the Georgia World Congress Center in Atlanta, GA, USA. There were over 150 Exhibitors from around the World. 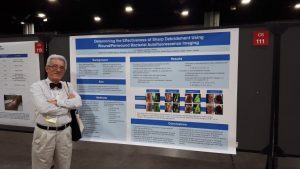 Dr. Stephan Landis MD, FRCP(C) gave an oral poster presentation on Determining the Effectiveness of Sharp Debridement Using Wound/Periwound Bacterial Autofluorescence Imaging. We look forward to next year’s conference.